ROME - Chinese President Xi Jinping has arrived in Italy for his historic visit as Italian deputy prime minister Luigi Di Maio seeks to reassure the US about Italy’s intentions. President Xi’s visit to the Eternal City will culminate in the signing of a Memorandum of Understanding between the two nations regarding China’s 1 trillion-dollar Belt and Road Initiative. The proposed deal has come under scrutiny and divided the coalition government with Salvini’s League repeatedly questioning the move. The decision to sign is one that has unsettled the European Union and the United States of America who had previously been united in their approach to counter China’s ever-expanding modern-day Silk Road. Di Maio has consequently arranged to meet with the US ambassador to Italy to give reassurances that Italy’s decision will not see it distance itself from its ties with North America. Pirelli’s CEO Tronchetti Provera, speaking to La Corriere della Sera, echoed Di Maio’s words stating that he believed everyone in the Italian government still “upheld Italy’s position in its traditional alliances”. 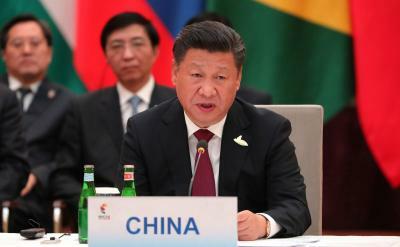 However, he then went on to say: “China needs to widen its economic ties and to grow the world needs China, which now makes up around 40 per cent of the world’s growth. To not make the most of this common interest would be to jeopardise both future world growth and an increase to everyone’s standard of living. Xi will spend three days in Rome, visiting Quirinal Palace, the Altar of the Fatherland, the Madama Palace and the Business Forum amongst other important stops on his whistle-stop tour. The Chinese president will then travel on to Monaco and France where he will meet Emanuel Macron, a European leader who has been far less receptive to the expansion of the BRI into Europe.